(Photo courtesy of Channel 4) Enoch Foster and his wives Catrina, left, Lydia and Lillian. 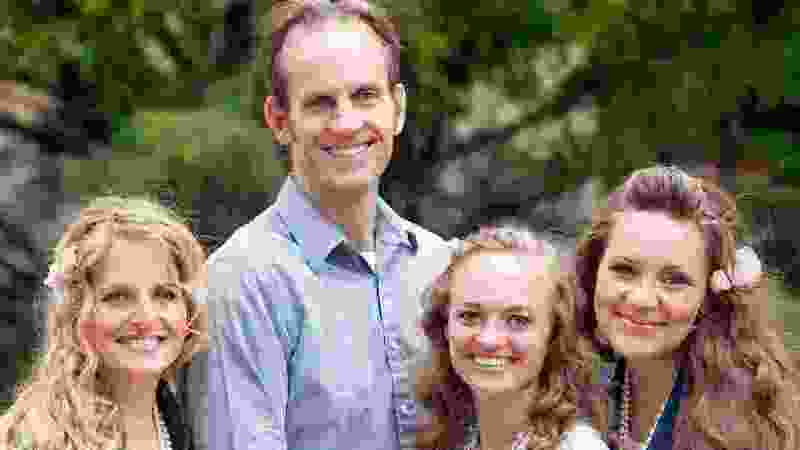 Lydia Compton Foster, one of the wives on the reality television show “Three Wives, One Husband” was seriously injured in a car accident Thursday near Moab. Foster is pregnant, and doctors are also monitoring the condition of her child, said her sister-in-law Melinda Bates. Bates said the accident happened on U.S. Highway 191 between Moab and the Foster family enclave, known as Rockland Ranch. Bates said Lydia Foster’s car was struck by a semitruck. Her son was in the back seat and wasn’t hurt. But Bates said a helicopter flew Lydia Foster to Farmington, N.M. She was later taken to Albuquerque. Bates, relaying a message she received from Enoch Foster, husband to Lydia and two other wives, said the unborn baby still has a heartbeat. Lydia Foster suffered a broken pelvis, Bates said, and had to have blood drained from her abdomen. “Three Wives, One Husband” follows the Fosters and other plural families in southeast Utah.